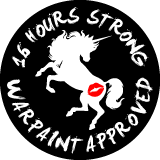 Retails for $58US and $67CAN at Sehpora for 3 x 0.116 oz (0.348 oz) cheek shades. The full size Ambient Lighting Blushes retails for $35US and $41CAN at 0.15 oz and the Ambient Lighting Powder at $45US and $54CAN at 0.35 oz. Now price wise the Ambient Lighting Blush Palette has a product value of two full size blush for the price of 1 and a half blushes and you getting 3 shades in this palette. But you paying a bit more for 3 shades compared to 1 standard Ambient Lighting Powder in terms of product. The texture on these 3 blush is a satin base with sublet shimmer particles. Initially I was hesitant in getting this palette but I had tried out the shade Diffused Heat which had a lot larger shimmer particles in it. These blush are glowy however but not high shimmery or frost. 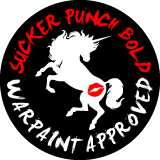 They are also pigmented enough to be visible but sheered out and built up which I also like. Luminous Flush is a warm tone rose pink. The intensity of this pink is build able. Incandescent Electra is a light warm coral pink. It doesn't lean to orange which I appreciate! Mood Exposure is a duty beige with subtle plum undertone. 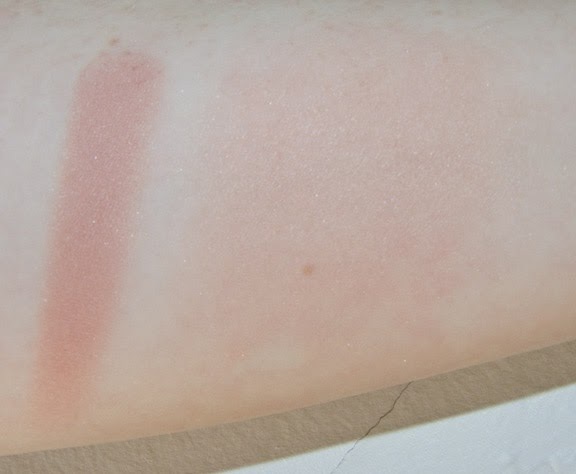 I reads warmer on the skin than in the pan and I'm enjoying it as a blush contour shade as well. On the cheeks it lasts 14 hours before noticing any fading but the colour is still there after 16 hours. 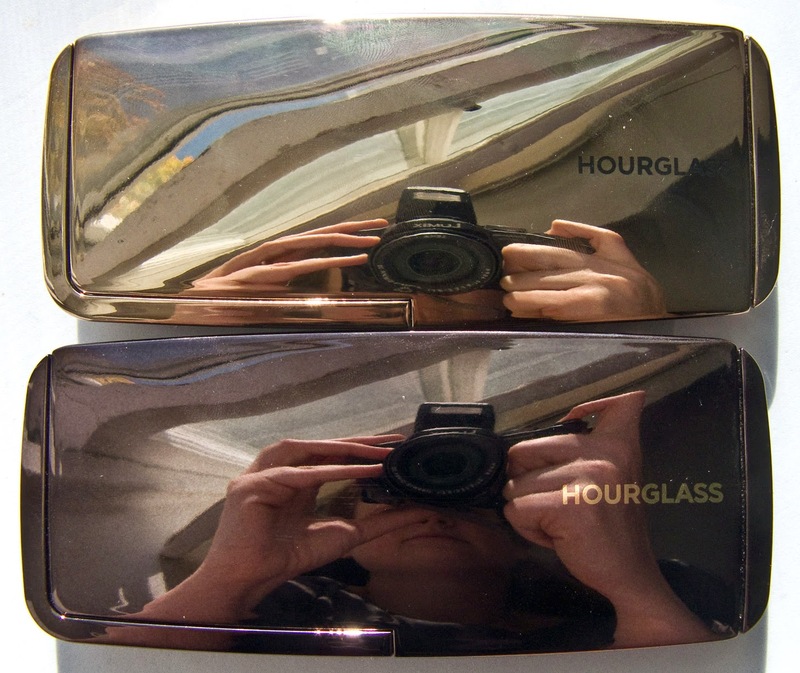 Gold box and Gold Mirror compact. The compact is really sturdy but the product would shatter easily due to the "baked" nature the product them self. So I'm keeping the palette in the box just in case I drop it. I found that the Gold finish of this compact shows off finger prints more then the Gunmetal packaging. 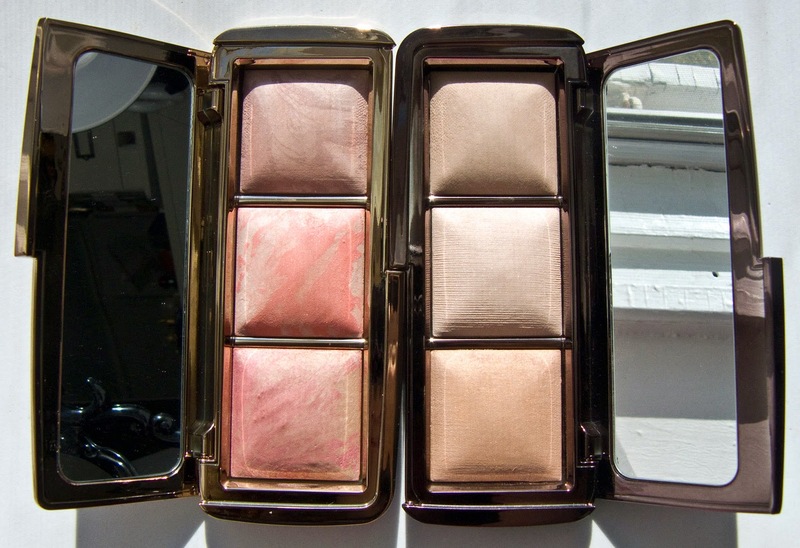 Daylight swatches: Luminous Flush and Incandescent Electra heavy and buffed out. Flash swatches: Luminous Flush and Incandescent Electra heavy and buffed out. Daylight swatches: Mood Exposure heavy and buffed out. Flash swatches: Mood Exposure heavy and buffed out. 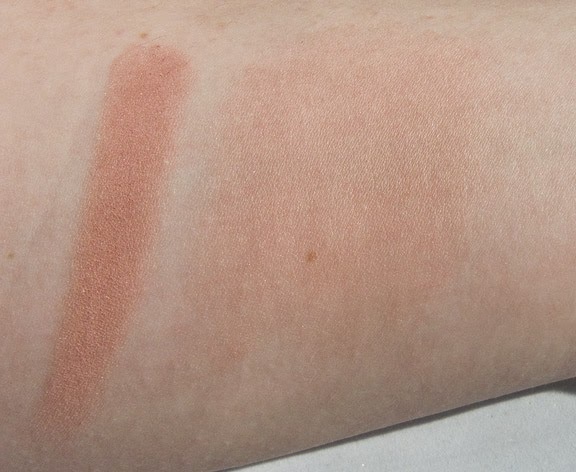 It's a great sampling of the Hourglass blush shades. I recommend however avoiding this on medium to deep skin tone but the shades themselves are internally on the light side. These shade are wonderful on Fair to Light Medium skin tones. I still feel like Radiant Magenta would have been a better choice compared to Luminous Flush simply because it would have given the palette a pop of colour next to Incandescent Electra, and Mood Exposure. 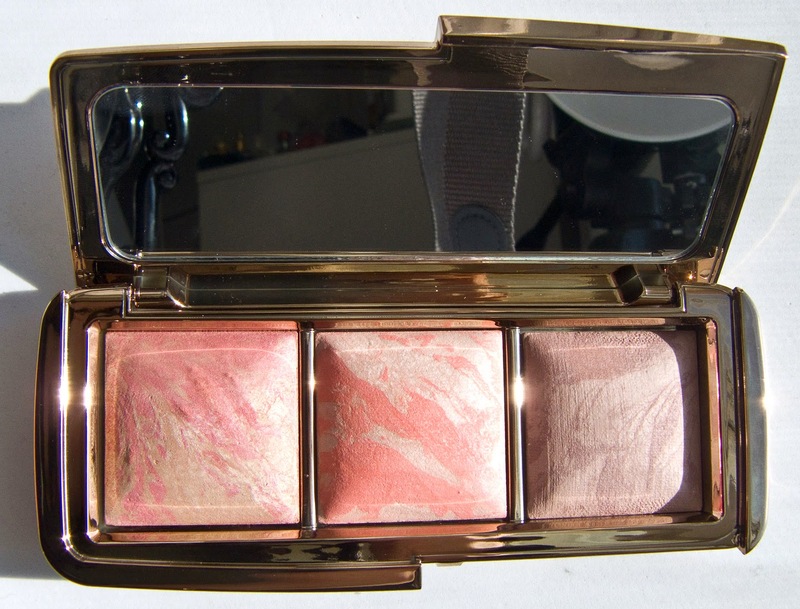 Maybe there are willing to come out with a second palette, Hourglass Ambient Lighting Blush 2 Palette with a few more deeper tones in it.